Recycled HDPE Pipe | Polyethylene Piping and Tubing - Bryan Hauger Consulting, Inc. If you like reading this blog, be sure to check out our Film Blog, featuring new content from the world of Plastic Films! In the railroad industry, strict specifications on plastic pipe materials have required drainage pipes underneath train tracks to be made of 100% virgin materials. However, a recent study reported in the November 6, 2017 edition of Plastics News suggest that may no longer have to be the case. 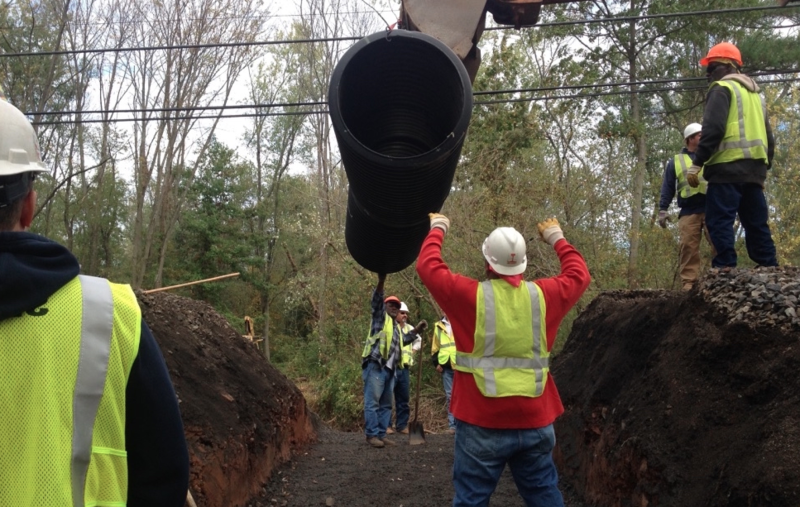 A three-year study conducted by a partnership between Pennsylvania’s Villanova University and the National Cooperative Highway Research Program installed and evaluated HDPE pipe made from 49% recycled post-consumer material and the 100% new-material pipe. At the end of the study, researchers found “no discernible differences” between the two different types of pipe, projecting that both materials will exceed a service life of 100 years. What do these findings mean for the industry? Initial findings could prove to be beneficial for consumers. Rail companies could potentially save money on pipes if these recycled HDPE pipes are allowed to compete with new-material pipe. Additionally, allowing the usage of recycled HDPE pipes would be more sustainable, making them a more environmentally friendly option. While plastic pipe sits behind both concrete and metal in terms of usage for railroad applications, these findings could help to expand the HDPE market for that industry. Keep up to date with the latest in plastics technology here on our blog, and be sure to check out Plastics News online. If you’ve been on the website for the Alliance for PE Pipe lately, you may have seen some ads for us on their website. That’s no accident - we’ve recently begun working with them to advertise. Here’s what our company president, Dr. Bryan Hauger, has to say about this. Last week, the book Handbook of Industrial Polyethylene and Technology: Definitive Guide to Manufacturing, Properties, Processing, Applications and Markets was published, featuring a chapter from our company president, Dr. Bryan Hauger. He contributed Chapter 42 to the book, focusing on "Pipe and Tubing Applications of Polyethylene". The chapter focuses on PE pipe, looking at its history and the different applications of the piping. By the end, it covers modern pipe technologies and the different pipe characteristics needed for an increasingly diverse market. To check out this chapter, click this link to see a preview of the book courtesy of Google Books. The Alliance for PE Pipe has recently announced the creation of a Municipal Leadership Award to be presented at their industry showcase event this coming December. The award is intended to showcase the various projects that HDPE pipe has been used for in municipal settings. Both the project and the people that made the project possible will be included as part of the award. If you know of any projects worthy of such a nomination, visit their Municipal Leadership Award Program website and complete the form there. © Copyright Bryan Hauger Consulting, Inc., 2017. All rights reserved.